David Pett is the Director and Senior Solicitor at MJP Conveyancing. Prior to this, David studied Law in Nottingham and became a solicitor in 1982. During his career, David has helped and met thousands of different and interesting people. He has worked in various different areas of the law, handling personal injury claims, advising on family and employment issues, acting for boxers and professional footballers, and more recently guiding sellers and buyers of property. David is not a lawyer who only thinks about the law, he knows there is much more involved in resolving legal problems and handling and guiding people through the formalities involved in buying and selling property. His pet hate is the illusion some solicitors give about how complicated it is to move home. David is not saying it is simple, but in the main it is straightforward and should therefore be an enjoyable experience. Outside of work, David’s football interest lies with Manchester United and he has followed the team since the age of 8. 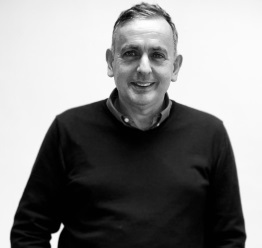 Football is David’s passion and he has had the pleasure of working in the industry advising and assisting professional footballers as well as meeting famous managers and ex-players along the way. David also enjoys photography. Previously a Paralegal in the Sales Team, Emily Chawawa now assists the firm’s Director, David Pett with the day- to -day running of the business. This includes dealing with HR related matters, Compliance related issues, Accounts and Invoicing, Events Management, Panel Management and general business monitoring. Prior to this, Emily graduated from Nottingham Trent University with a first-class degree in Law with Business (LBB) which reflects her interests in legal studies and business management..
Outside of work, Emily’s interests include cookery, baking, basketball and interior design. Natasha Franklin-Brown is the Team Leader of the New Business Team. She is responsible for generating leads for the business and assisting clients in the early stages of their conveyancing transaction. Natasha manages a team of 5 and uses her industry and conveyancing experience to provide her team with the support needed to get our clients transactions underway. 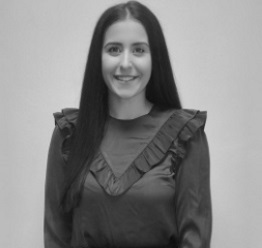 In addition, Natasha oversees the Business Development team, focusing on expanding MJP Conveyancing’s regional branding and relationships with third parties, working closely with brokers and financial advisors all over the country to ensure that the best level of service is provided to our clients. 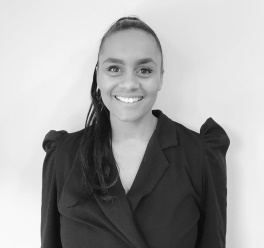 Prior to this, Natasha has gained valuable experience within the Estate Agency industry which has given her a comprehensive understanding of the process of buying and selling property which helps to ensure that our clients transactions run as smooth as possible from the outset. In addition to this, Natasha is currently studying towards a Paralegal Qualification with the Conveyancing Association which will expand her legal knowledge even further. Outside of work, Natasha competes in netball tournaments and volunteers for a local club. Anna McNeil is our Business Development Manager and works within the New Business Team. Anna was excited to join a forward-thinking practice which prides itself on providing an efficient and transparent service. As the Business Development Manager, Anna has built up the third-party referral arm of the business, managing the referral accounts and dealing with any queries to provide our clients with an exemplary service. In addition to this Anna coordinates the marketing, promotion, and expansion of the MJP brand. Prior to this, Anna has worked for a range of professional offices in London before joining MJP. During Anna’s career she has learnt the importance of looking after your customer base and providing a great service. Charlotte Cottam works within the New Business Team. She started working for the Firm in 2016 as Personal Assistant to the Director which provided Charlotte with a great overview of the firm and transparent approach to providing clients with the best possible service. Prior to this, Charlotte graduated with a Degree (Honours) in Business and Public Relations from Liverpool John Moores University. With her background in Public Relations, Charlotte became the firms Client Relations Manager and focuses on making improvements to the client journey through the Conveyancing Process. Charlotte works within the New Business Team guiding clients through the instruction process of their conveyancing journeys which enables her to have a more hands- on approach with our Clients. Outside of work, Charlotte enjoys a good Netflix binge, travelling and yoga. Catherine Wilkinson works within the New Business Team. She is a Business Development Executive working directly with third party referrers to ensure their client’s transactions run as smoothly as possible. Catherine is also responsible for the social media campaigns, charity initiative and marketing strategy. Catherine believes clear communication is key to forging strong business to business relationships. Prior to this, Catherine ran a boutique personal training and yoga business in London, working with private clients and within a corporate wellbeing facility at Citibank. She is qualified as an Advanced Personal Trainer, Yoga and Pilates Instructor and recently finished her Higher Education, Access to Health Sciences course. Outside of work, Catherine enjoys keeping fit and good food in equal measure. Darren Pett works within the New Business Team and has worked within the firm since 2010. He is a New Business Assistant helping the New Business Team supporting clients through the initial stages of their transactions. Darren also assists Natasha in generation leads and work for the business. Flora Buckley works within the New Business Team. She is a New Business Assistant helping the New Business Team with administrative tasks as well as supporting clients through the initial stages of their transactions. Flora ensures that our New Business processes run smoothly and efficiently to ensure that clients have a positive and stress-free experience when opening a file with us. Flora recently relocated to Norwich and is currently completing a BA International Relations degree through distance learning. Ben Pett is Team Leader within one of our Purchase Teams although he has previously worked as Head of the Sales Team and the New Business Team giving him a wealth of experience over the years. Ben manages a team of 5 who predominantly focus on Leasehold, New Build, Shared Ownership, Re-mortgage and Transfer of Equity transactions but Ben’s experience in the firm enables him to complete all elements of purchase work. Prior to this, Ben graduated with a degree in History from the University of Warwick. He then converted to a Bachelor of Law (LL.B.) from the University of Law, Birmingham. Ben gained legal experience at firms in both London and Birmingham, before joining MJP full-time. He is currently a Trainee Solicitor on track to qualify in August 2019. 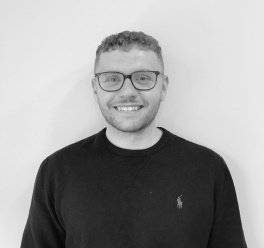 Outside of work, Ben is a big Manchester United fan, enjoys watching cricket, rugby and the NFL, and is a member of the MJP five-a-side team, which (admittedly with mixed success) competes in a local league and against other firms. Nasreen Ahmed, works within Purchase Team. She started in the firm as a Paralegal and has progressed to a Trainee Licensed Conveyancer with specialist knowledge in transfer of equity and re-mortgage transactions. Prior to this, Nasreen graduated with a Bachelors of Arts (Honours) in Education from the University of East Anglia in addition to completing a five-year intensive Theology course. Nasreen is studying a Council of Licensed Conveyancers syllabus whereby she will eventually become a Licensed Conveyancer. Outside of work, Nasreen is an avid reader and cook. Josh Jones works within the Purchase Team. He initially joined MJP as a Legal Administrator in our Sales Team which provided him with a wealth of experience and enabled him to progress within the Sales Team for several months. As a result of this, Josh made the decision in 2018 to begin training towards becoming a Licenced Conveyancer and as part of his development, has transferred in to the Purchase Team to widen his knowledge. Prior to this, Josh studied for his A-Levels at Sixth Form. Outside of work, Josh enjoys playing sport and socialising with friends. Lana Archer works within the Purchase Team. She is a Paralegal assisting clients with multiple aspects of their transactions such as ordering and reporting on searches, processing mortgage reports and providing clients with updates on their transaction. Prior to this, Lana graduated with a Bachelor of Laws (LL.B.) from Oxford Brookes University. 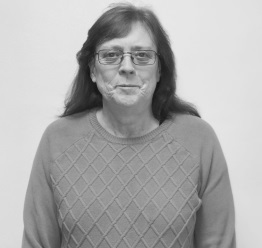 Outside of work, Lana enjoys yoga and is an avid reader. Nazneen Ahmed is a Team Leader in one of our Purchase Teams. She is an experienced Paralegal assisting the Purchase Team with complex legal issues before and during the conveyancing process. Nazneen and Edmund jointly manage a Team of 4 who predominantly focus on Freehold Transactions however, her wealth of experience of the process allows her to assist in all areas of property purchases. Prior to this, Nazneen graduated Bachelor of Law (LL.B.) from Anglia Ruskin University and completed the Legal Practice Course (LPC) at BPP Law School Cambridge. Outside of work, Nazneen enjoys playing sports and reading. She is also a henna artist specialising in bridal henna. Edmund Ramsdale is a Team Leader in one of the Purchase Teams. He is an experienced Paralegal who is well versed in all areas in Conveyancing and is currently training to become a Licenced Conveyancer which reflects his expertise in this area. Edmund and Nazneen jointly manage a Team of 4 who predominantly focus on Freehold Transactions however, his wealth of experience in all areas of the Conveyancing process allows him to assist in all areas of property purchases. Prior to this, Edmund graduated with a degree in History and a Masters in Medieval History from King’s College, London. Edmund went on to graduate with a Diploma in Law at the University of East Anglia and the Legal Practice Course at the Anglia Ruskin University. Over the years, Edmund has gained extensive experience in Conveyancing, Private Client, Claims Management, Accountancy and IT which has enabled him to contribute into several aspects of the business. Outside of work, Edmund is a keen member of the East Norfolk Operatic Society and can be found happily treading the boards at the Maddermarket Theatre in Norwich. He also has a passion for real ale and DIY, and has built his own garden pub "The Blackadder". Emma graduated from the University of East Anglia with a Degree in Law (LL.B.). Emma has also volunteered in housing mediation and domestic abuse services and is interested in employment and medical law. She is currently a Trainee Solicitor on track to qualify in February 2020. Outside of work, Emma’s passion is dance; something she has done since childhood. Emma was appointed President of the UEA Tap Dance Club and performed in the opening ceremony of the London Olympics 2012. Esther Coyte-Broomfield works within the Purchase Team. She is a Paralegal and assists clients with all aspects of their transaction from reporting on title to reviewing files in readiness for Exchange and Completion. Prior to this, Esther graduated in 2015 with a Degree in Law from the University of East Anglia and spent a year studying French Law at Université Montesquieu in Bordeaux. In 2017 Esther completed her Masters in International Trade Law at UEA and graduated with distinction. Ross works within the Purchase team. He is a Paralegal assisting clients with multiple aspects of their transactions such as drafting documentation. Prior to this, Ross graduated with a Bachelor of Laws (LLB) from the University of Hull. Outside of work, Ross enjoys playing tennis and watching football. Hannah works within the Purchase Team. She is a Paralegal assisting clients with multiple aspects of their transactions such as drafting documents to be signed and reviewing source of wealth. Prior to this, Hannah graduated with a Bachelor of Laws (LL.B.) from the University of Lincoln. Outside of work, Hannah enjoys baking and walking her springer spaniel. Madison King works within the Purchase Team. She is a Legal Administrative Assistant and plays an important role in drafting, checking legal documentation and providing support to our Clients and other third parties. Prior to this, Madison studied A Level Law and BTEC Business at Lowestoft Sixth Form College, where she developed an interest in the conveyancing process. 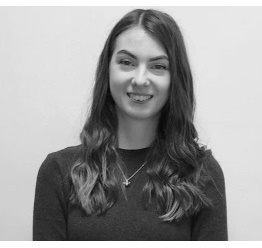 Previous experience has been gained from various work experience placements at both Norton Peskett, Lowestoft and Norton Peskett, Beccles working within multiple departments including Conveyancing. Outside of work, Madison is a keen equestrian and competes in County and Regional shows. Sophie Goodman is the Team Leader of the Sales Team although she has gained experience in the Purchase, New Business and Exchange and Completions teams within the firm providing her with a well-rounded view of the Conveyancing process. Sophie’s experience enables her to complete more complex transactions such as shared ownership, leasehold and unregistered land. Prior to this, Sophie studied at the University of South Wales and achieved a 2:1 Degree in Law (LL.B). During her university studies, Sophie volunteered at a Legal and Financial Advice Clinic and worked part time throughout her second and third year as a care assistant. Sophie has also worked as a Receptionist within a Law Firm. 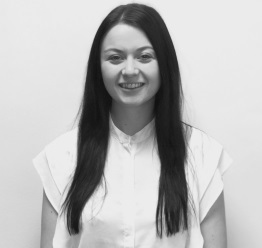 Outside of work, Sophie enjoys cooking, going to the beach and playing Xbox, as well as planning her next holiday. Billie-Jo Askew works within the Sales Team as a Paralegal. Billie-Jo assists clients with anything from drafting contract papers to reviewing files that are nearing Exchange and Completion. She is currently undertaking the Legal Practice Course and hopes to train as a Solicitor with MJP Conveyancing. Prior to this, Billie-Jo graduated from St Mary’s University with a 1st Class Law Degree (LL.B. ), during which time she developed an interest in Land Law, Law of Tort, Medical Law and Ethics. Whilst studying Billie-Jo volunteered at the Citizens Advice Bureau where she became familiar with handling housing and employment issues, as well as building her customer service experience. Jack works within our Sales Team. He is a Paralegal and assists clients with anything from drafting contract papers to reviewing files that are nearing Exchange and Completion. Jack is enthusiastic about gaining further experience in Law and completing the LPC in the future. Prior to this, Jack graduated with a Degree in Law with Criminology (LL.B.) from the University of East London and then spent some time travelling in the United States. Hannah works within the Sales Team. She is a Paralegal assisting clients with multiple aspects of their transactions such as drafting contract papers and dealing with enquiries and agreeing completion dates. Prior to this, she graduated with a Bachelor of Arts in History from the University of Essex before completing the GDL at the University of East Anglia. Outside of work, she enjoys going to the beach, travelling and skiing. Sophie works within the Sales Team. She is a Paralegal assisting clients with multiple aspects of their transactions such as drafting contracts, requesting redemption statements, checking client details and dealing with enquiries. Prior to this, Sophie graduated with a Bachelor of Laws (LL.B) from the University of East Anglia and achieved a 2.1. Outside of work, Sophie enjoys travelling, cooking and reading. Helen Dickerson is the Team Leader of the Exchange and Completions Team. She is responsible for overseeing up to 4000 completions each year, managing a team of five and being an important member of the management team. Helen has worked with our Director for several years and is well versed in the Conveyancing process and the ethos of the business. Having worked in conveyancing for over ten years, Helen has gained extensive experience in all areas of residential conveyancing. Outside of work, most of Helen’s spare time is taken up by renovating her property, relaxing at home and travel. Thomas Barnes works within the Exchange and Completions Team although he has previously worked within our New Business, Sales and Purchase Teams giving him a wealth of experience over the years. Thomas is responsible for running a smooth Post-Completion operation within the E&C Team as well as assisting clients and third parties with any queries they may have. Prior to this, Thomas graduated with a Bachelor of Law (LL.B.) from the University of East Anglia with an LLB (Hons) Law Degree. Thomas volunteered for CORAM Children's Legal Centre for 6 months and has been heavily involved with Pro Bono Projects throughout his university career. He was also Head of the Partnership Against Crime Task Force Project as part of UEA Street Law during my final year. He is currently a Trainee Solicitor on track to qualify in February 2020. Outside of work, Thomas enjoys road cycling and can often be found at the local races at weekends. Thomas Butterworth works within the Exchange and Completions Team although he has previously worked within our Purchase Team. Thomas is responsible for reviewing files in preparation for exchange as well as exchanging contracts. Thomas also has experience in completions work and assists with general queries in relation to this Exchange and Completion. Prior to this, Thomas completed his graduate diploma in Law from the University of East Anglia. He has also completed the Conveyancing Association’s Paralegal Course achieving distinction and is currently working towards becoming a fully qualified legal executive. Previous to working at MJP Conveyancing, Thomas worked within a law firm completing Anti-Money Laundering Checks on prospective Clients. Mary Podd works within the Exchange and Completions Team. She is a Paralegal and plays an integral part in assisting clients in the final stages of buying or selling their property mainly through reviewing and exchanging contracts with other solicitors. Prior to this, Mary graduated from Goldsmiths University of London with a first-class Degree (Honours) in History and then proceeded to complete a Graduate Diploma in Legal Studies at the University of East Anglia gaining a distinction. Janani P. Indraneru works within the Exchange and Completions Team. She is a Paralegal and assists with the large volumes of completions that go through every day as well as assisting our clients and third parties with queries relating to Exchange and Completion. Prior to this, Janani graduated with a Criminology Degree (Honours) in London. She has worked as a Legal Assistant in London for three years giving her exposure in Immigration departments, Conveyancing (both residential and commercial), Litigation and Family Cases. Janani is also a fully trained Prison Custody Officer at HMP Bronzefield in Ashford. Outside of work, Janani is a freelance Hair and Makeup artist and her other hobbies include cooking, travelling and photography. 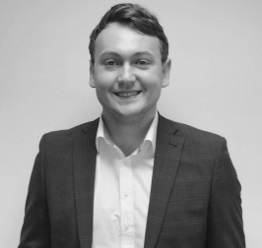 Jacob Clarke works within the Exchange & Completions Team. He is a Paralegal assisting clients with multiple aspects in the completion of their transactions. This includes, preparation and review of files for completion, submission of Stamp Duty applications and liaising with solicitors and other third parties to aid in their queries. Prior to this, Jacob graduated with a 2:1 in Law (LL.B.) from the University of Reading in 2016. Outside of work, Jacob is an avid rugby player representing Norwich Union 1st XV. Jack McCarthy works within the Exchange and Completions Team. He is a Paralegal and is responsible for registering property ownership with the Land Registry. Prior to this, Jack graduated with a Degree in Law (LL.B.) at the University of Lincoln and has gained invaluable experience at the Lincoln Law Clinic where he provided free legal advice to members of the public.